Ask any social media manager what they stress out about on any given day, and the answers you receive may vary. Some worry about having enough content to publish while others might worry about posting on the company page from their personal account. But almost all social media pros will agree upon one: news feed algorithms. Social media algorithms are designed to serve audiences up the most relevant, interesting content possible -- after all, social networks are about being social, and Instagram and Facebook want you spending more and more time within the apps interacting with friends -- and content -- you love. But recent algorithm changes on major social networks have also made it tougher for brands and publishers to get content noticed and surfaced in busy news feeds -- where billions of people are sharing content every day around the world. We've started experimenting with different ways to leverage content on social media. Posting more frequently isn't the answer -- it's posting great content that people want to share and interact with. Read on to learn more about the experiments we're running and the early results we've seen. Facebook and Instagram each adjusted its respective news feed algorithm a few times last year. Instead of showing news need updates in chronological order, both algorithms now favor content from friends and family over publishers, and content that users interact with -- by liking, commenting, viewing, and sharing posts. Social media algorithm changes can be tricky for publishers and marketers -- especially when we read stress-inducing statistics about Facebook's algorithm reducing organic reach for publishers by roughly 40% over the last few years. The answer to getting noticed in busy news feeds is to get people clicking, viewing, and interacting with your posts. But how can you get noticed in the first place -- especially when there are so many users and pages also competing for attention? We started experimenting with mobilizing and incentivizing our Instagram audience to engage more frequently with our posts. We're rewarding people we think will love our content and engage with it by helping them see it first -- and in some cases, win prizes. We want to cultivate more engagement with our Instagram posts by creating our own influencer pod. Influencer pods are made up of -- you guessed it -- influencers in a particular vertical. They join specific, invite-only groups to engage with one another's posts in an authentic and mutually beneficial way. Pods help content get viewed higher up in the Instagram feed, which makes it easier for even more people engage with the content -- in their feeds, or in the Explore tab. Our pod has started to generate 10-20 additional comments per Instagram post from relevant influencers within HubSpot's vertical. 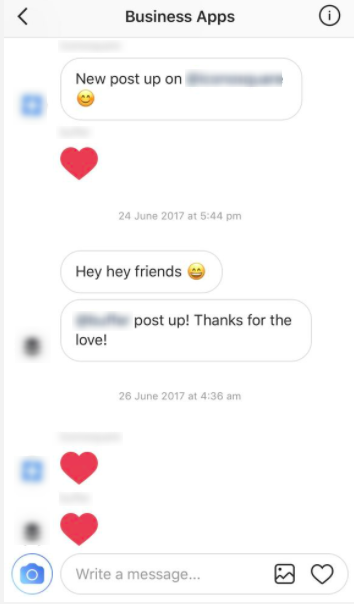 These engagements help us (and fellow pod members) rank in Instagram's feed, and they inspire a little social proof, too. If Instagrammers see influencers and companies they know and love engaging with HubSpot on Instagram, they might want to check us out, too. We want to help our audience engage with content we think they'd love by running an Instagram comment contest. We want to generate authentic comments on our Instagram posts from fans -- and reward them for it, too. 1) We encourage followers to "Turn on Post Notifications" from HubSpot to make sure they didn't miss the contest announcement. 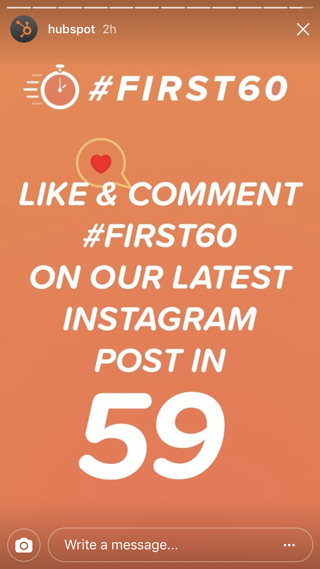 2) We post an Instagram Story when we're getting ready to publish a new Instagram post as part of the contest that urges followers to be among the first people to comment "#First60" for the chance to win a prize. 3) Our followers comment on our posts, and we select prize winners and send them swag. We’re rewarding people who love our content and engage with it by helping them see it first, and in turn, we're able to generate a lot of engagement on our posts. Like the influencer pods, this Instagram contest generates 10-20 additional comments per Instagram post. 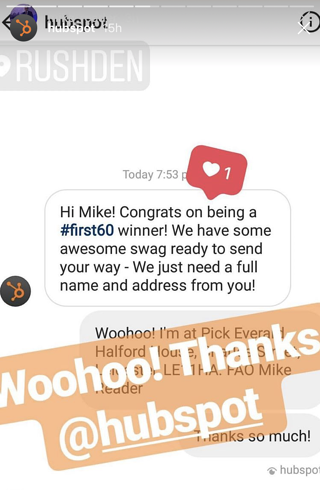 The engagement helps us rank in the feed, turning on notifications helps us get our content in front of more of our fans, and everybody likes swag -- the contest fosters good will with our audience, too. Just like how we thought about different video devices like on-page SEO for social media, think about generating buzz and engagement on social media the way you think about optimizing search engine results with off-page SEO elements. Inbound links from websites with high domain authority signal to search engines that your content is authoritative and worth clicking on. Similarly, comments, likes, views, and shares are signals to social media algorithms that the content is authentic and that people like it. These engagements signal that the content should be bumped up higher in news feeds, which will help it then get discovered by more people to engage with it down the line. We've only just started this last experiment, so we don't have detailed methods and results to share yet. But we wanted to give you a rundown of how we're changing the way we use social media -- to earn PR placements, instead of simply promoting them. Simply put, everyone lives and breathes on social media. In fact, when you factor in messaging apps, social media is where people spend more than half of their time on their mobile devices -- with Facebook at the helm. And where PR used to be all about traditional media placements -- in news outlets -- it's transforming to be about social, too. We've found that, when pitching press outlets, you ned to help drive traffic through social to make it worth the effort of PR professionals. In addition to traditional outlets, publications are now generating traffic from native content within social platforms. So if you want to engage with members of the press and PR professionals today, you need to analyze their social media pages to learn what kind of content they’re sharing -- before pitching. The stories you pitch need to be relevant to their audiences -- and not just yours. Whatever you learn about the outlets you want to target, incorporate that knowledge into content that you create. We wanted to see if a social media-based PR campaign would get us more press placements and mentions on Facebook. With the Summer Startup contest, we pitched the story to journalists with accompanying data -- about what people's career dreams are, and what they love (and don't love) about their jobs -- to create a newsworthy, research-based story that earned coverage for our contest. We waited until our video had achieved a meaningful number of views to use social proof to strengthen our pitch -- which, in turn, drove more video views when publications started writing about it. We've earned more social media press mentions for the Summer Startup contest than any other campaign we've done in the past -- and we're not done yet. Social media managers across industries are revamping their social media strategies to engage with their audience. 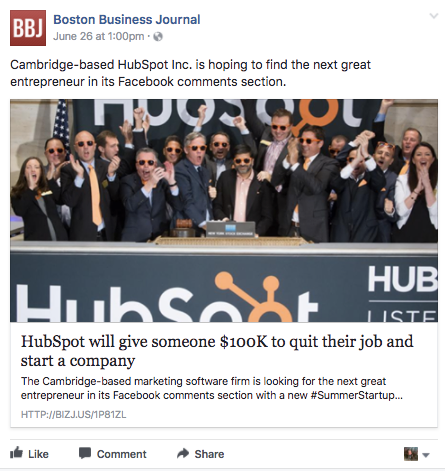 If you want a press outlet to share your native social media content, tailor your pitch to its presence on Facebook or Twitter -- whichever it shares on more frequently. We recommend incorporating social media into PR pitches to craft a story that translates -- in print, and in apps. 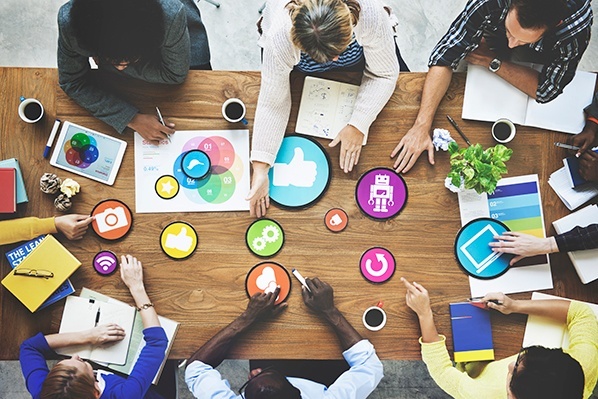 How Should Your Business Start Using Social Media? Start by Listening, Says Chris Brogan. If you're spending any time using blogs or social media to promote your business, you should be reading Chris Brogan's blog .